My name is Elena Cattaneo and I am this year’s recipient of the ICC Massimo Bonavita Memorial Scholarship. I am a rising junior at the University of Minnesota studying Neuroscience and Italian and I want to thank you for choosing me to receive this scholarship, as it will allow me to pursue my lifelong dream of learning Italian. 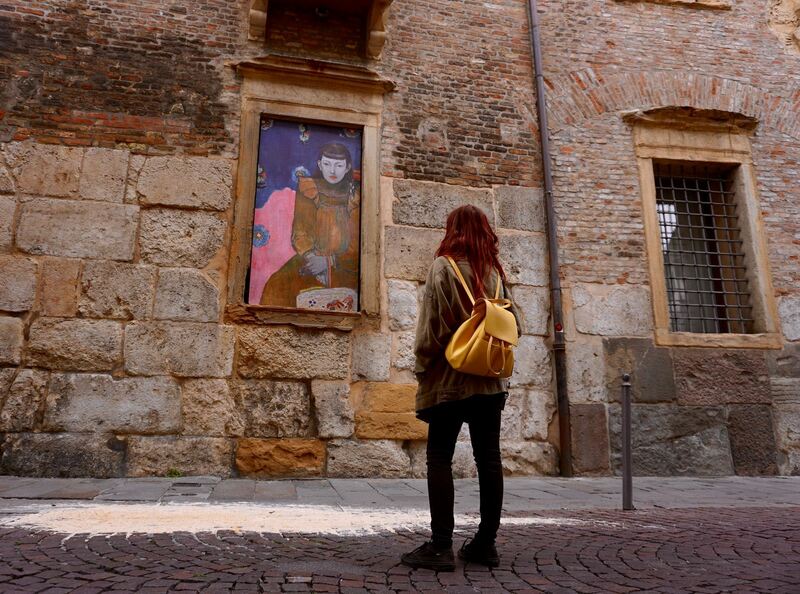 It’s hard to believe that just one month ago I arrived in Bologna nervous, unsure of my language skills, but so excited. 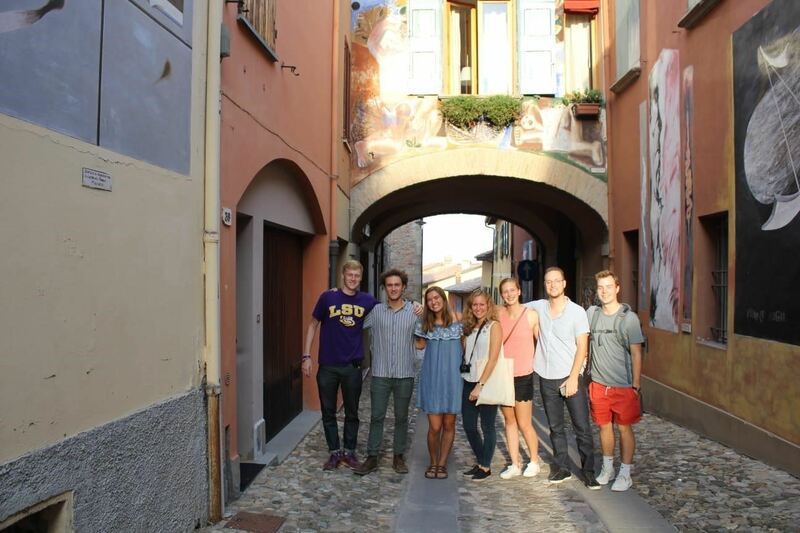 The first few days were action packed and eventful as I met new friends, tried unfamiliar foods, and explored the city. Every day was a fun new adventure, but the excitement of the novelty was spotted by many moments of uncertainty. During the first week I got lost every time I went somewhere new and little things like grocery shopping or asking to taste a flavor of gelato caused me stress and anxiety. Sometimes when I spoke Italian to locals, they would respond in English. That always diminished my confidence and I wondered if I would ever feel truly at home in this city. Here I am 30 days later taking classes at the University of Bologna taught exclusively in Italian, easily navigating around the city relying solely on landmarks and street names, and speaking freely and more confidently (thanks to a two-week intensive grammar course). I can direct you to my favorite gelateria and the best osteria in town. I know where all the UniBo students go to enjoy the cheapest aperitivos, I have a favorite park and running route up Bologna’s hills, and the owner of Bar Cartoleria knows my coffee order. I have begun to find my “spots” in this city, making it my home, and I couldn’t be more content! 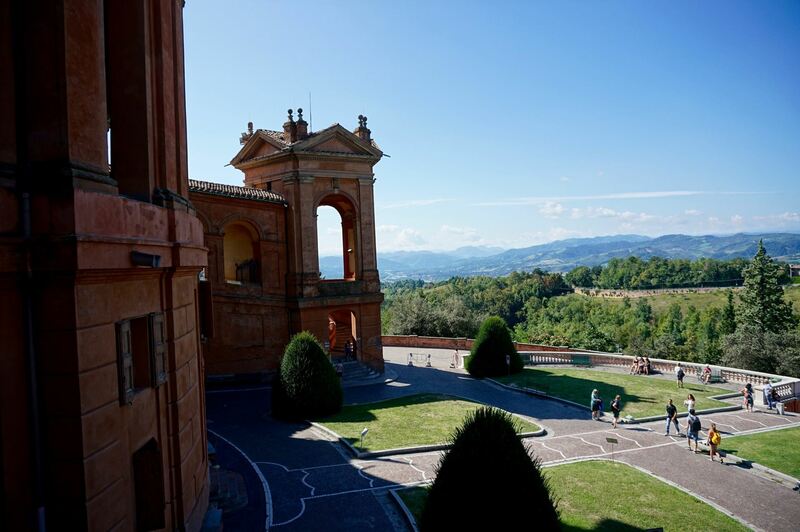 The view from Santuario della Madonna di San Luca. Bologna, Emilia Romagna, Italy. 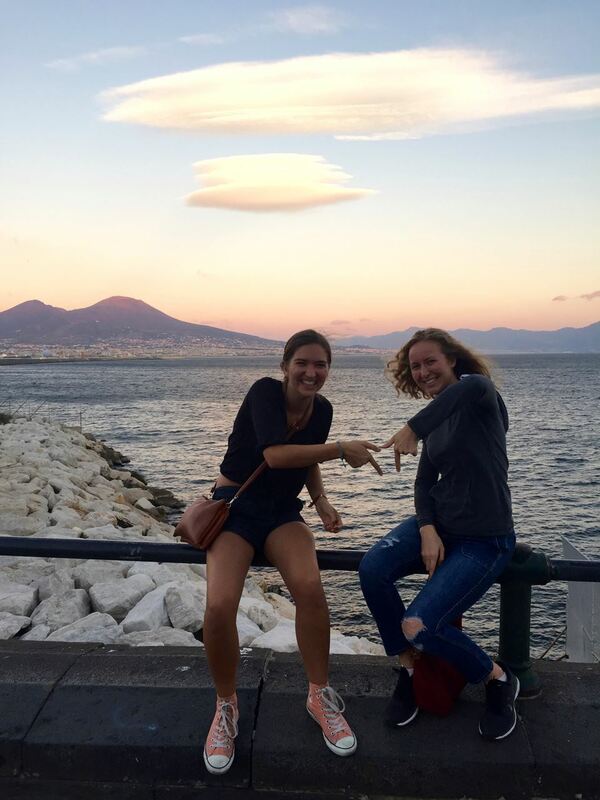 Two Minnesota Gophers attempting to make an “M” in front of Mount Vesuvius in Naples, Campania, Italy. 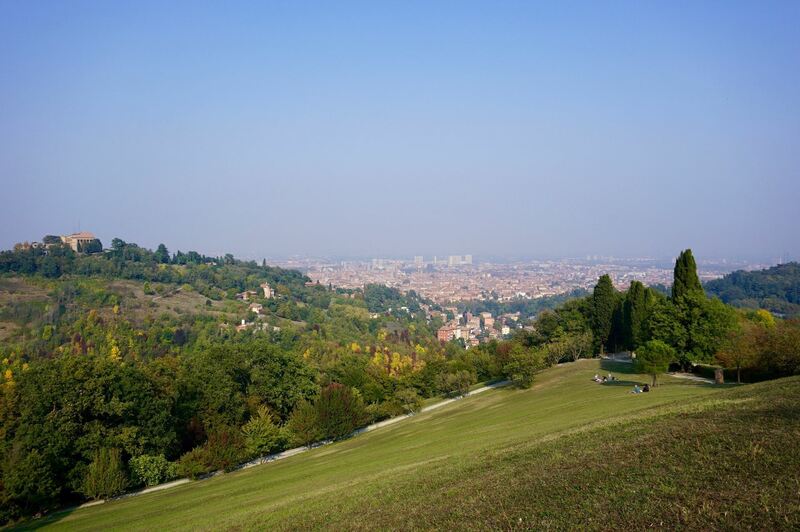 Parco Villa Ghigi – my favorite place to run and a great view of the city! 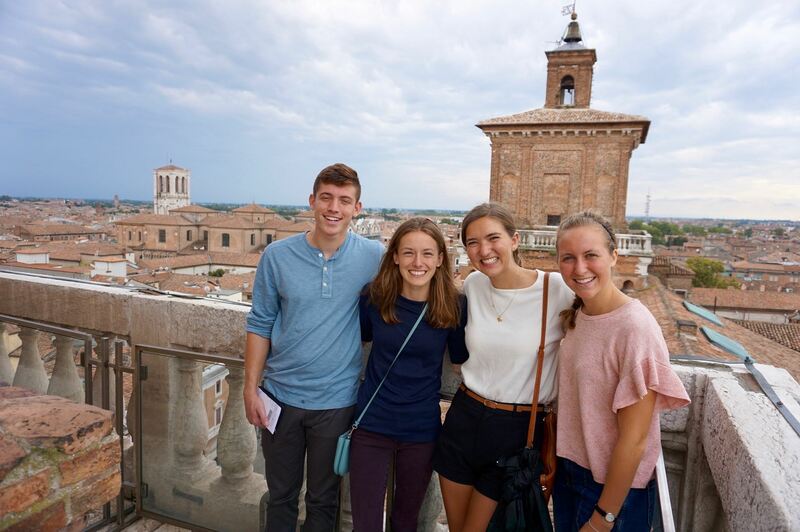 Before coming to Italy I felt that I understood the power of language and its ability to foster connections, as this knowledge and my desire to better communicate with my Italian-speaking relatives is what motivated me to study Italian in the first place. 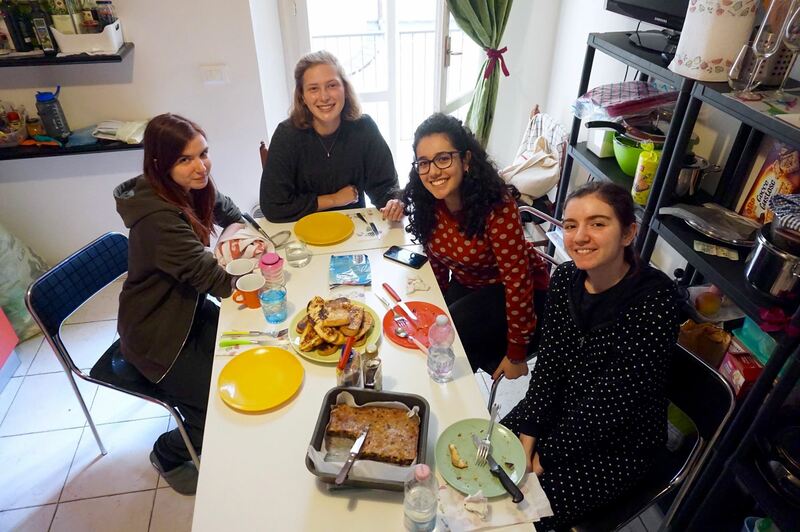 Although learning a new language is a long and hard process with absolutely no instant gratification, my trip to Naples, Italy with three friends from the Bologna Consortial Studies Program at the end of September confirmed my belief and validated every sacrifice I made and any hesitation I had about studying abroad. I think about Naples constantly and while I do reminisce about the incredible sights we saw, the food we ate and the things we learned, I find myself thinking primarily about all the people we met and the conversations we had. What set this trip apart from any other was our interactions with the locals. One evening while on the hunt to find a pizza fritta (fried pizza, a must eat when in Naples) we stumbled upon the “Enne Market Alimentari Maria”, a small store similar to an American deli. There was a sign outside advertising a “frittata di pasta”, which was one of the many foods my Neapolitan roommate told me I had to try while in Naples. We bought the frittata, chatted with the employees and Maria herself, and stepped outside to eat. Shortly after, Maria came out holding an arancina fritta for us to try, which we gladly did. We asked her about how it was made and when she realized our excitement and interest in this new food, she came out with a handful of other things for us to taste. She was just as excited to share her food with us as we were to try and learn about it all. That same night we asked a group of guys our age where the best gelateria nearby was and ended up chatting with them for over thirty minutes. They even tried to teach us some of their Neapolitan dialect, but after too many failed attempts we decided to try and master Italian before getting mixed up in the various dialects. 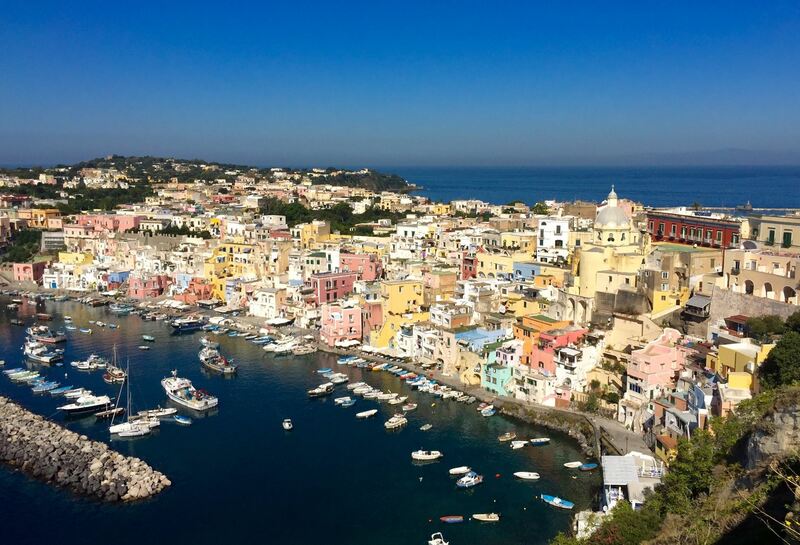 The next day on the Island of Procida we walked into a small art studio, and running in behind us came the owner and artist, Luigi Nappa, an older man who had just been drinking a coffee at the bar next door. He was thrilled to show us his artwork and once he realized we were native English speakers that also spoke Italian, he was even happier to share his work. He even read an original poem to us from the book that he published, and almost an hour later we finally left the art studio with posters in our hands, gifted to us and created by Signor Nappa himself. I reflect on this short trip to Naples, and am content knowing how unique our adventure was. I am sure the average tourist that descends from a massive cruise ship to spend 12 hours in Naples learning how to make a Margherita Pizza does not fall in love with this city in the way we did. 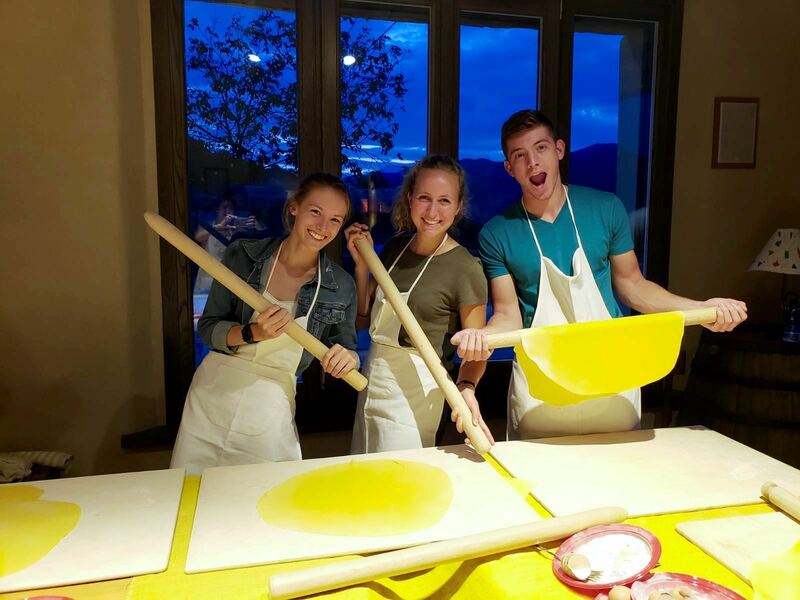 Looking back on how much my language skills have developed since I came to Italy I know that had I come just two months ago, I would not have had such an incredible experience. 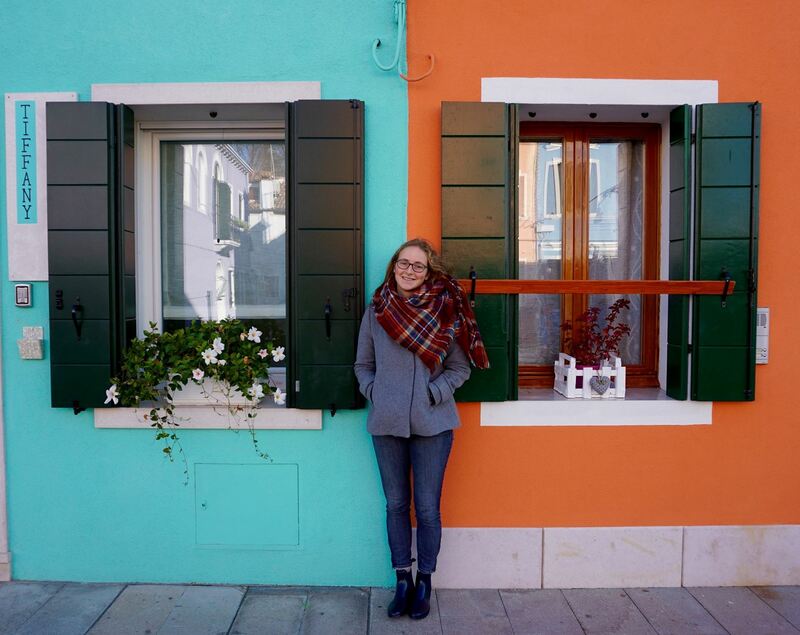 Learning Italian has allowed me to explore this country from another perspective and to foster connections with my family and strangers alike. It has opened up a whole new world for me that I am excited to continue exploring. 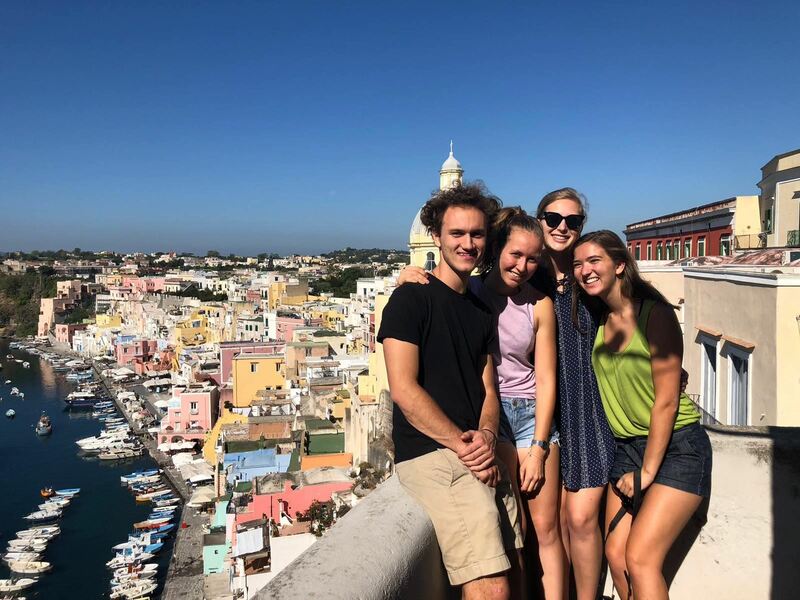 The crew on the Island of Procida, Campania. Just a few of the MANY treats we ate throughout the weekend. The top two are called “lingue di suocera” and are a pastry typical of Procida. 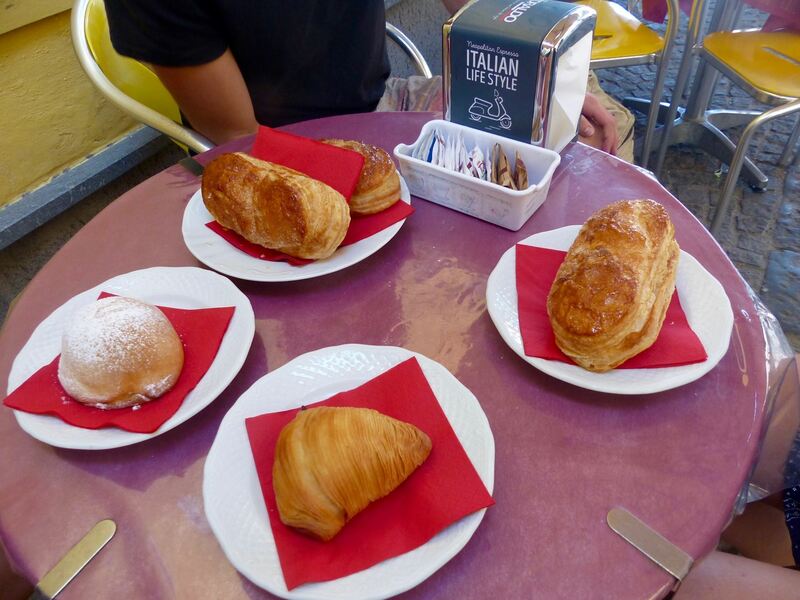 The triangular pastry is called “sfogliatelle” and in itself is a good enough reason to return to Naples. 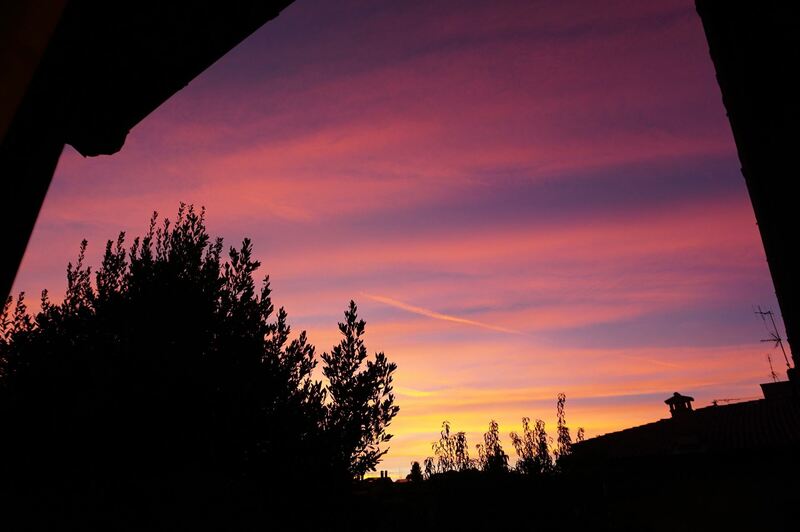 The view from my cousin’s balcony. Lugano, Ticino, Switzerland. 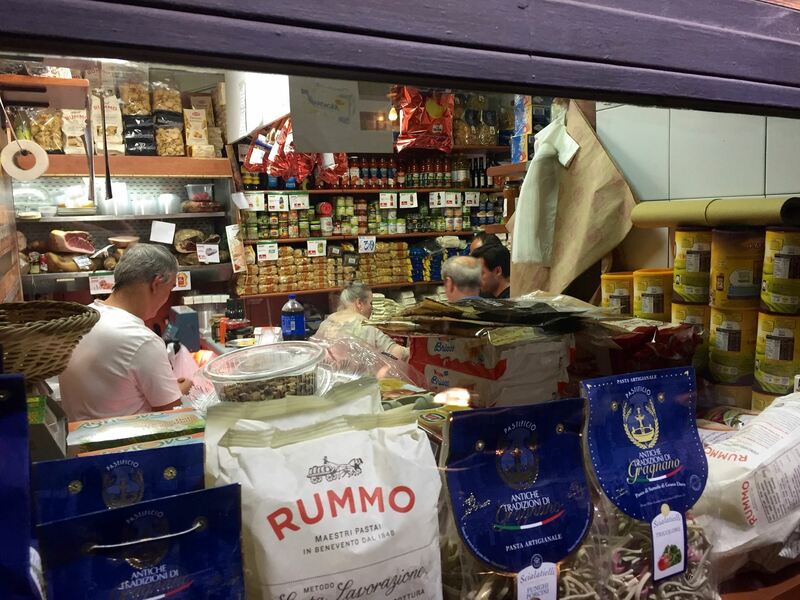 Enne Market Alimentari Maria, or simply “Maria’s”, in Naples, Campania. 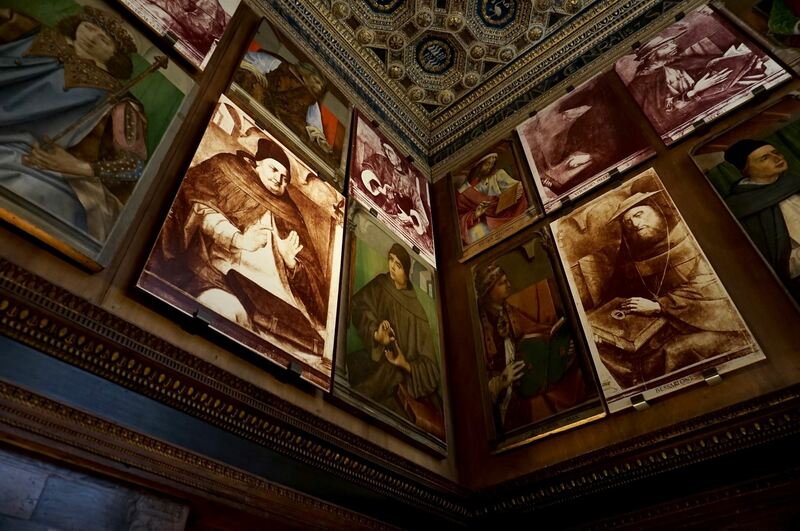 Inside the Palazzo Ducale of Urbino, Marche. American friends and me making banana pancakes for my Italian roommates. 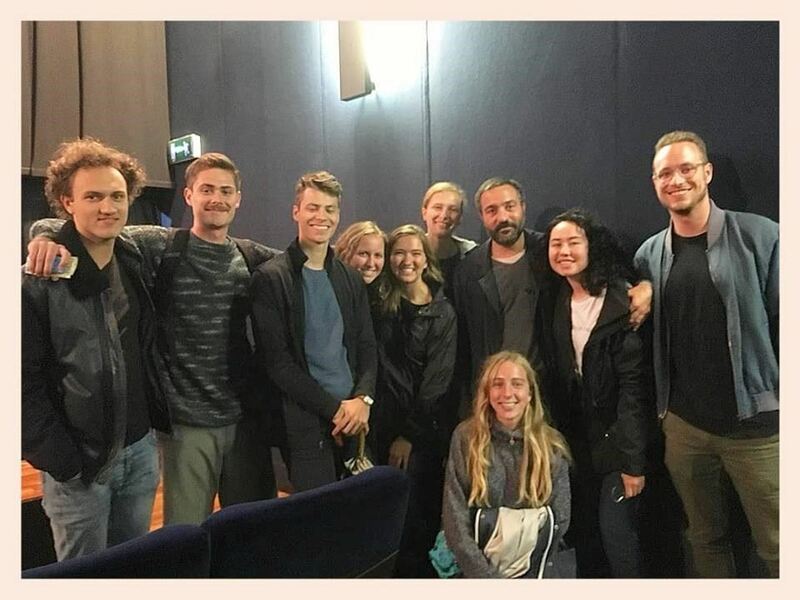 Some friends from the Bologna Consortial Studies Program and me with the director Saverio Costanzo at the Lumière Theatre in Bologna where we attended a screening of the first two episodes of his new HBO TV series adapted from the book “My Brilliant Friend” by Elena Ferrante. Each day that I spend in Bologna makes me feel more connected to this city and its culture, and each day it shapes and changes me. 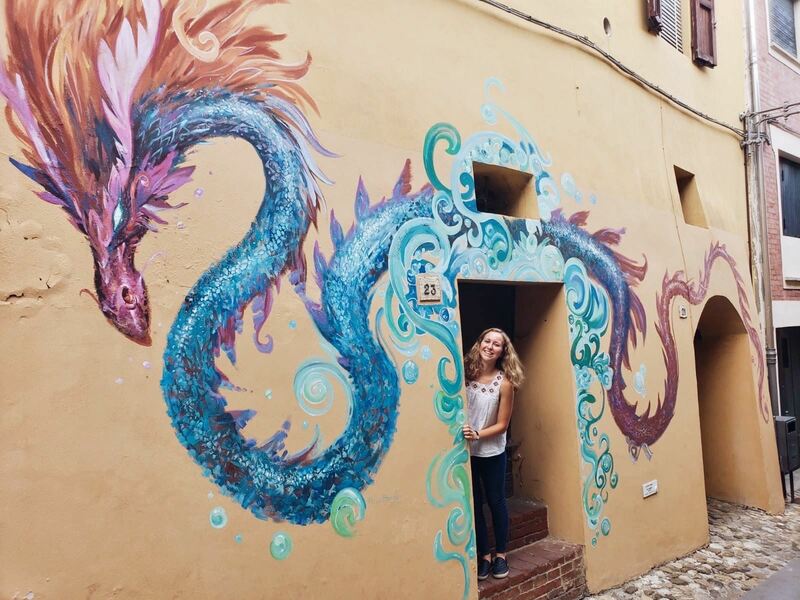 Most drastically, living in Italy has challenged my personal identity. 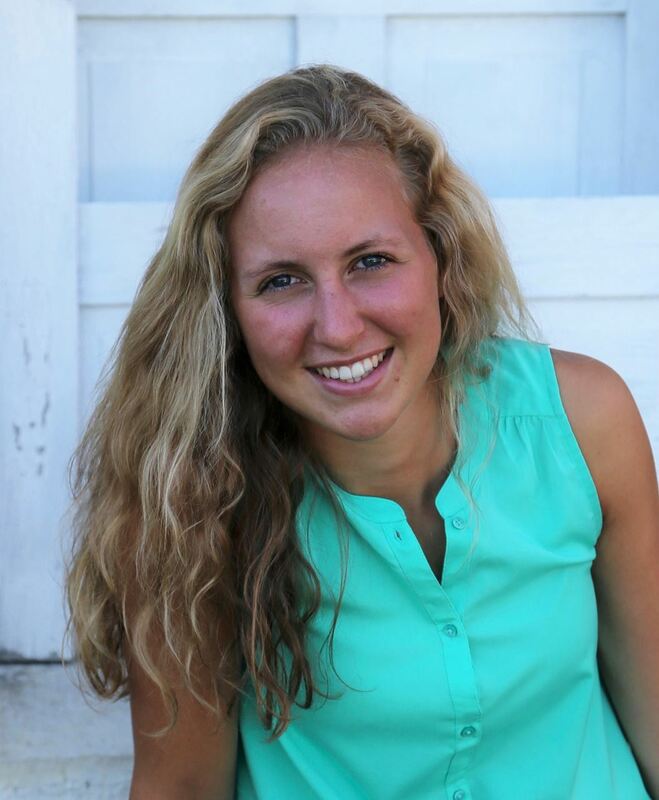 I was born in Zurich, Switzerland and moved to Minnesota with my family when I was 15 months old. I am not an American citizen, and while my American friends know me as the Swiss girl, in Switzerland, to friends and family, we are known as “the Americans”. But in September, sitting in a massive, hot and sticky room with hundreds of Americans – listening to an American ambassador from Florence tell us about how we would be helped if we found ourselves in trouble here in Bologna – I had to wonder how much, if any, of what he was saying applied to me. Additionally, while my blond hair, blue eyes and height set me apart from the average Italian girl I meet on the streets of Bologna, for the first time in my life my name is always pronounced perfectly on the first try. Upon introducing myself, if my accent has not yet given me away, my Italian classmates assume that I too am Italian. While reflections about identity, roots, and a sense of belonging have infiltrated my daily thoughts (typically while on a run), I have not let them keep me from exploring this incredible country that I am so lucky to be living in! 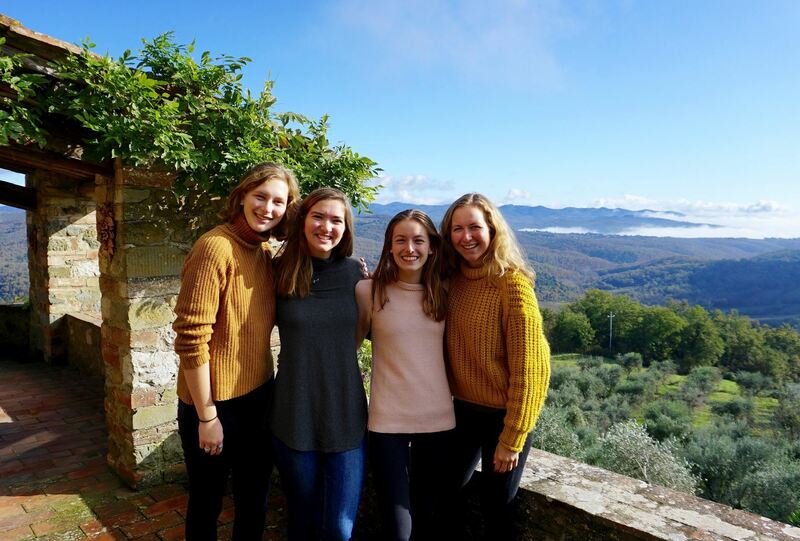 At the end of October, I was able to take three of my American friends to Lugano, Switzerland, where my wonderful Aunt and Uncle hosted us for a night. We spent the day hiking Monte San Salvatore, wandering through the city, and eating all of my favorite chocolate. After a long and fun day, my Aunt and Uncle prepared a typical Raclette dinner for us. I was so excited to share this meal with my friends, and they enjoyed it immensely. The next day we took the train to Milan, where we met up with the rest of the group from the Bologna Consortial Studies Program, and I got a taste of the city. One day in Milan did not feel like enough, so I hope to go back sometime soon! 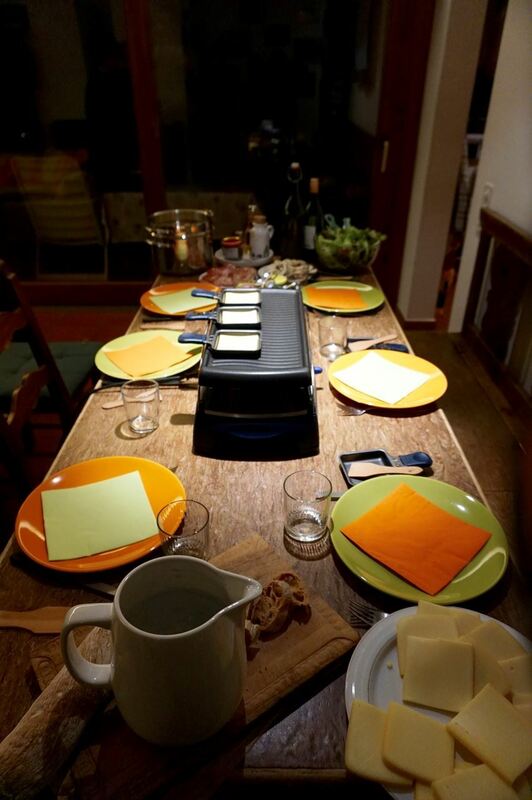 Raclette at my Aunt and Uncle’s house near Lugano, Switzerland. 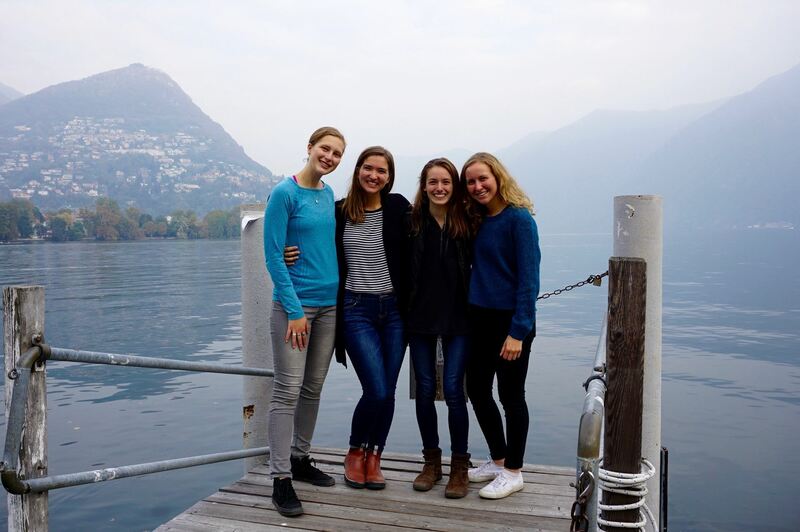 My friends Emma, Ally, Kyla and me at Lago di Lugano. 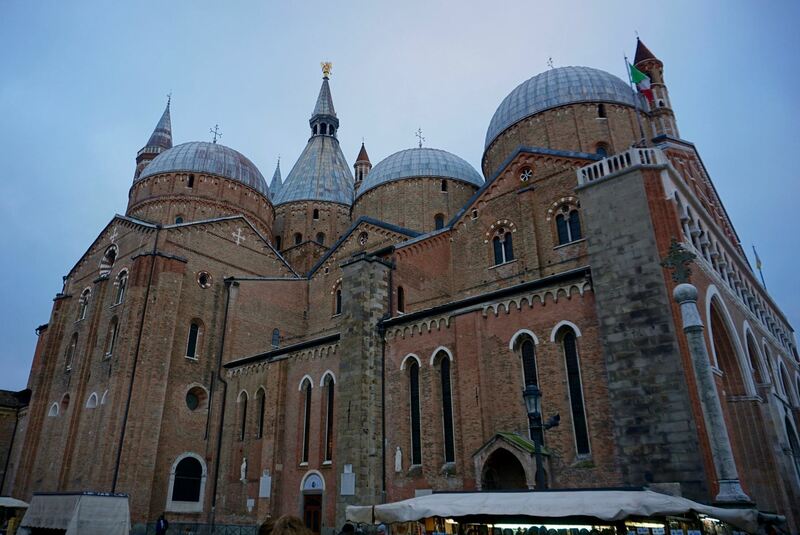 Earlier in November I was able to visit Padova, Italy in the Veneto region, which is an area I have never been to before. 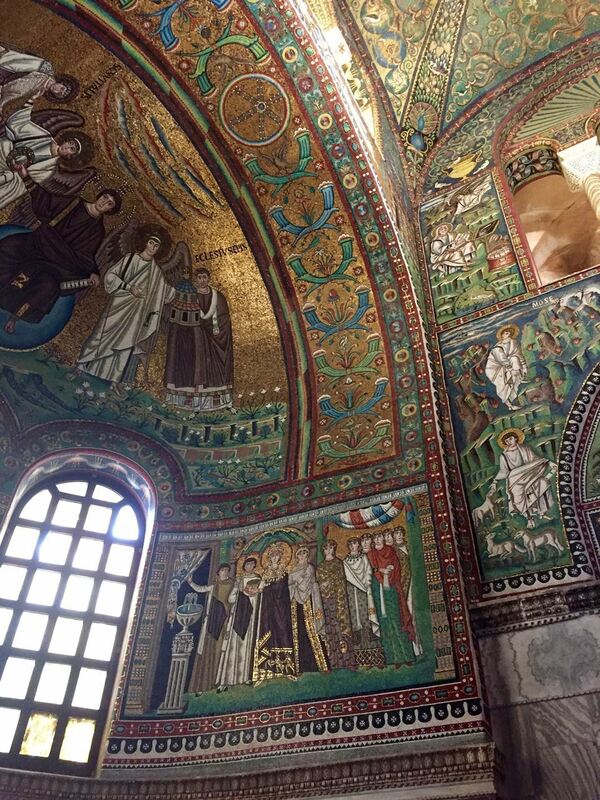 During this little excursion with my roommates, we went to an impressionist art show, visited the Palazzo della Ragione, and went to the Basilica di Sant’Antonio di Padova, which is one of the most impressive churches I have ever seen. It was a wonderful day and I am glad to have made great memories with my fantastic roommates. 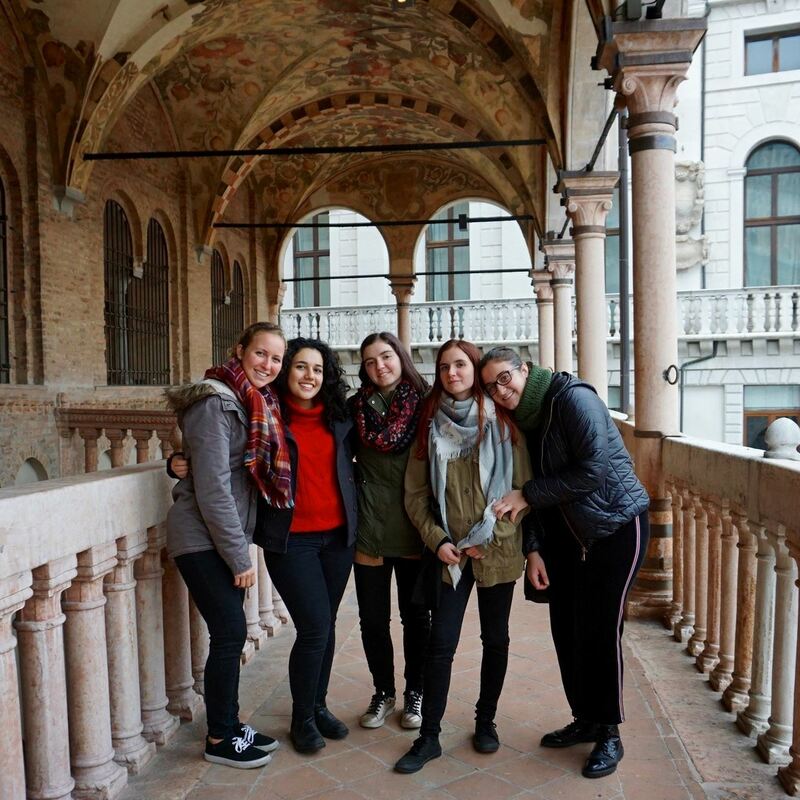 The roommates and me outside of the Palazzo della Ragione in Padova. Recently my sister came to visit me all the way from Minnesota. 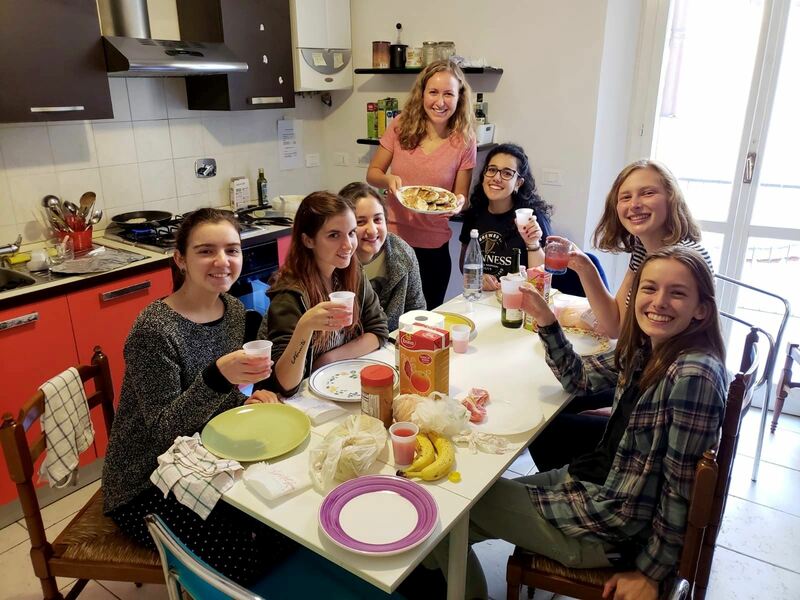 She participated in the Bologna Consortial Studies Program in the fall semester of 2016 and is still in contact with her friends and roommates. We had an incredible weekend eating all the delicious Italian food she had been missing and visiting her friends around the city. 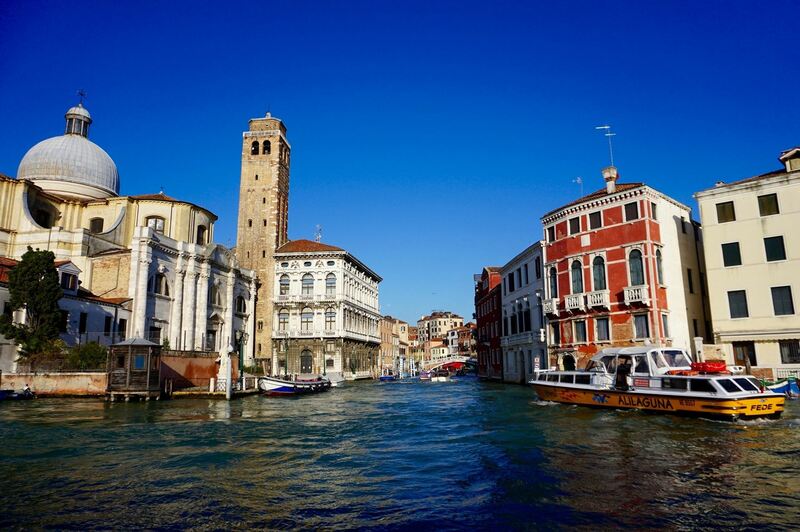 We also went to Venice for a day to meet up with our Aunt and Uncle, and I immediately fell in love with it. It is so unique and full of character, even with the many tourists that flood in from all over the world. 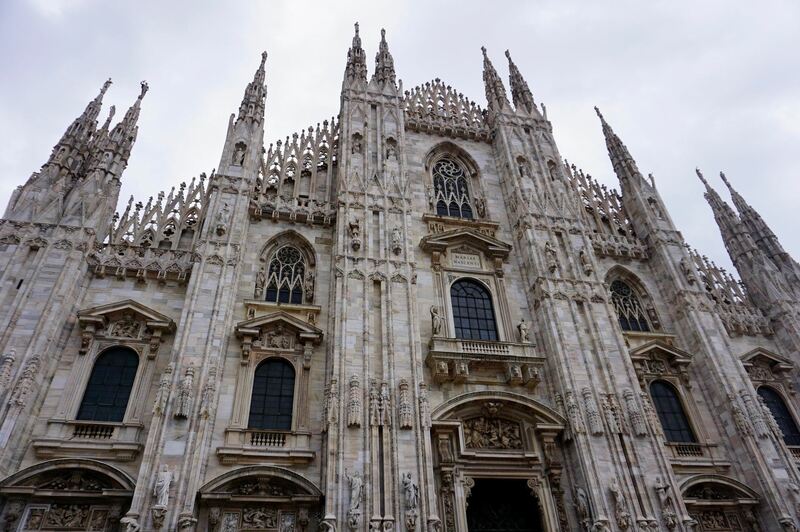 Like Milan, I think I only saw a small fraction of what the city has to offer, so I hope to see more of it another day. 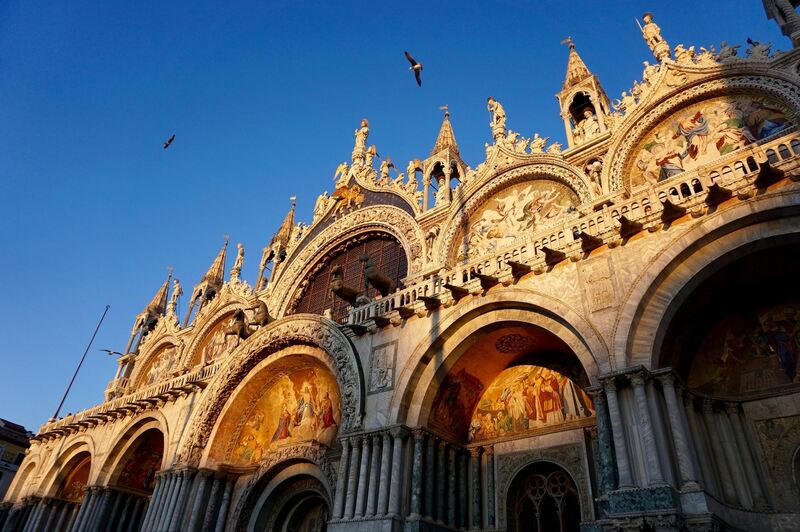 Basilica di San Marco in Venezia. For Thanksgiving my friend from the program, Kyla, invited me and some other friends to spend the holiday with her and her family in the Chianti region of Tuscany, where they rented a villa. The view was incredible and when we weren’t busy taking it in and reflecting out loud about how lucky we are to be living these lives, we were curled up near the fire inside, chatting, eating delicious cheeses and drinking regional wine, with some of my favorite music continuously playing in the background. It is a memory I hope to never, ever forget. 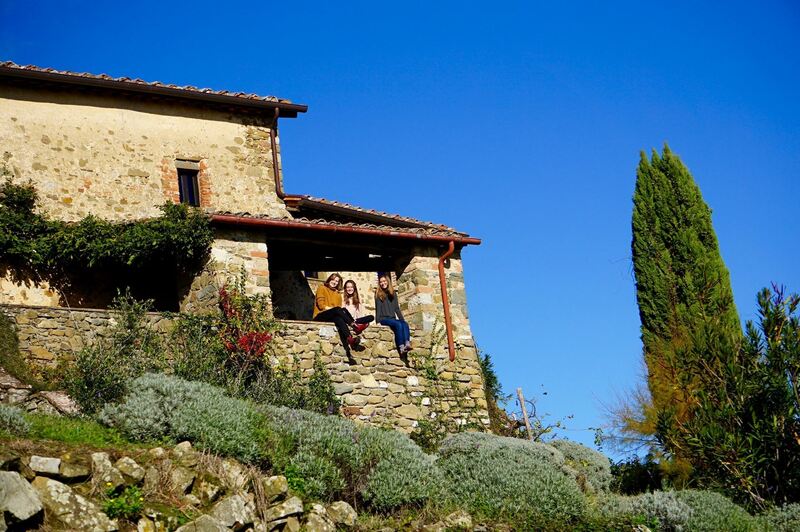 Emma, Ally, Kyla (whose family so generously hosted us) and me at the villa in the Chianti region of Tuscany. 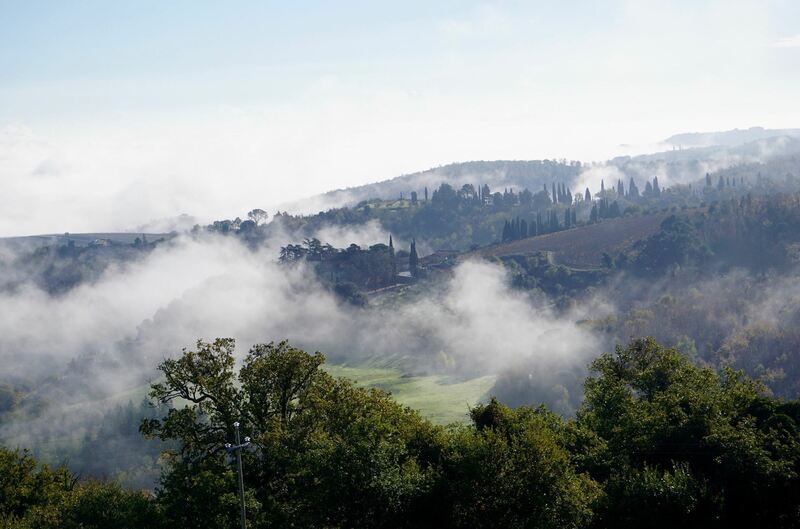 I spent as much time as I could enjoying this view and breathing in the fresh, crisp air in Toscana. 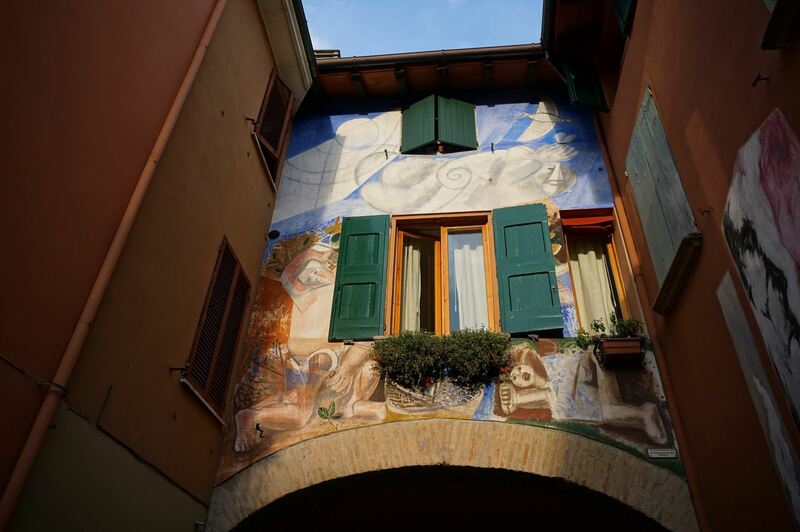 Although I have been exploring many different parts of Italy, I have not forgotten to enjoy the beauty of Bologna too! My favorite spot to retreat to when I am craving nature and some greenery. My roommates and me with the haunted Halloween house we made. My sweet mother sent it over and it is definitely meant for children, but we had a lot fun putting it together. My roommates were so excited to (most likely) be the only Italians in Bologna with a very American Halloween decoration. 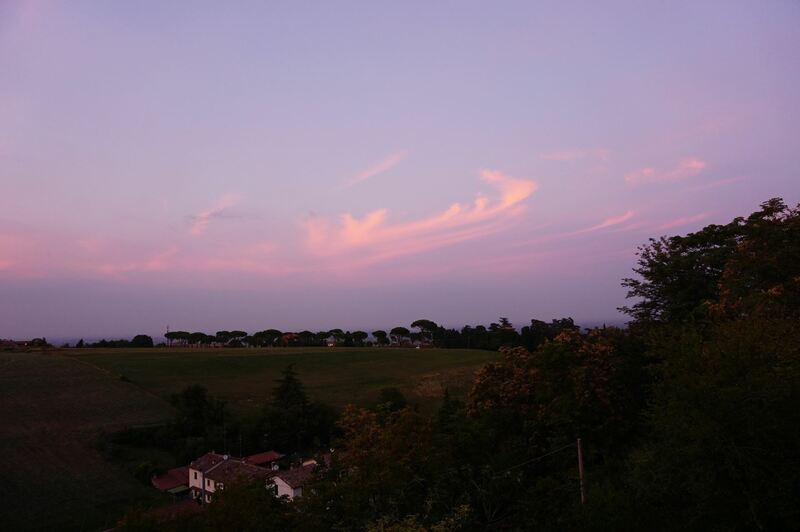 An incredible sunset from my bedroom window in Bologna (Emilia-Romagna). My friend Emma came over and helped me make French toast and banana bread for my roommates. They were very impressed by this American breakfast! 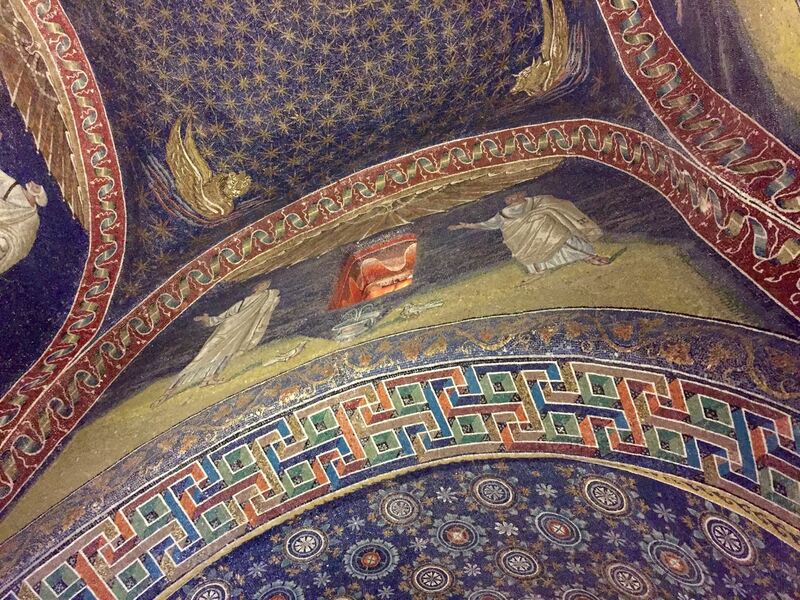 My last month in Bologna has been incredible - full of adventures, challenges, and lots of learning. The biggest challenge was navigating exam time at this University that functions very differently from the University of Minnesota. During the semester I took four courses - Italian Literature, Contemporary Italian Literature, History of Women, and an intensive Italian grammar class. All courses were taught exclusively in Italian, and all but the grammar class were through the University of Bologna, where I sat alongside classmates from all over Italy. 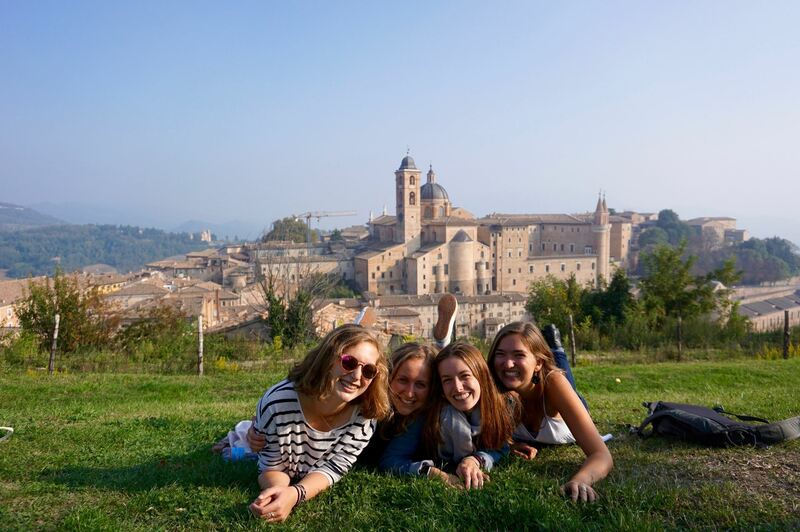 Throughout the semester I learned how to navigate the nuisances of the Italian University system, which required an open mind and a lot of patience. I got used to professors regularly arriving late, being crammed in poorly equipped rooms where I couldn’t see and could barely hear the professor, and sitting on the floor of the classroom because there were only enough seats for half of the students. When exam time rolled around, I had to prepare myself for the one test that would determine my entire grade in the class, and for the first oral exams of my life. Throughout the semester I wrote a ten-page paper in Italian for my Contemporary Literature class, studied Dante Alighieri’s Divine Comedy (in the original “vulgar” Italian) for Italian Literature, and I learned about feminism and the fight for women’s rights in Italy. 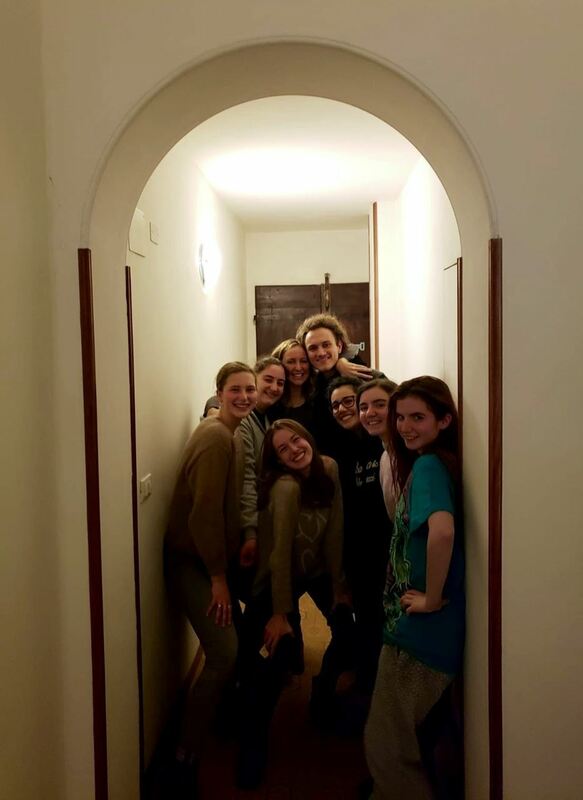 I just completed a long week of exams and I am leaving Italy satisfied with all I learned and proud of the time I invested in these courses and how much my Italian has improved. My friend and I laughed after looking at our notes from our History of Women class, when we realized that during the first few days we only managed to write the first word of a phrase, names and dates (leading to some incomprehensible and slightly useless notes), but by the end we were writing complete, comprehendible sentences! I am so thankful for this growth, and I recognize it in every aspect of my life here in Bologna, but I can measure it only in the most seemingly insignificant ways. Like the time last month when I realized I needed to buy a spray for my new boots to make them water resistant, so I walked into the first shoe store I saw without thinking twice, asked for the spray, and left two minutes later. Comparing this to September when I had to give myself pep talks to go to the grocery store and I called my sister for a motivational speech before heading to the neighborhood bike store around the corner, in search for a used bicycle. Saying goodbye to this city and this experience has been incredibly hard and I will miss all of the little things that have made it so unique. I’ll miss how the sun shines on the houses in my street in the mornings when I return from my runs, bringing out all the different shades of red and orange. I’ll miss discovering a different store, church, beautifully decorated building, or cute street every time I leave my house. I’ll miss sitting outside in a piazza with my friends any time of day and any time of the year, surrounded by so many other people doing the same thing as us - enjoying each other’s company and a slower pace of life. 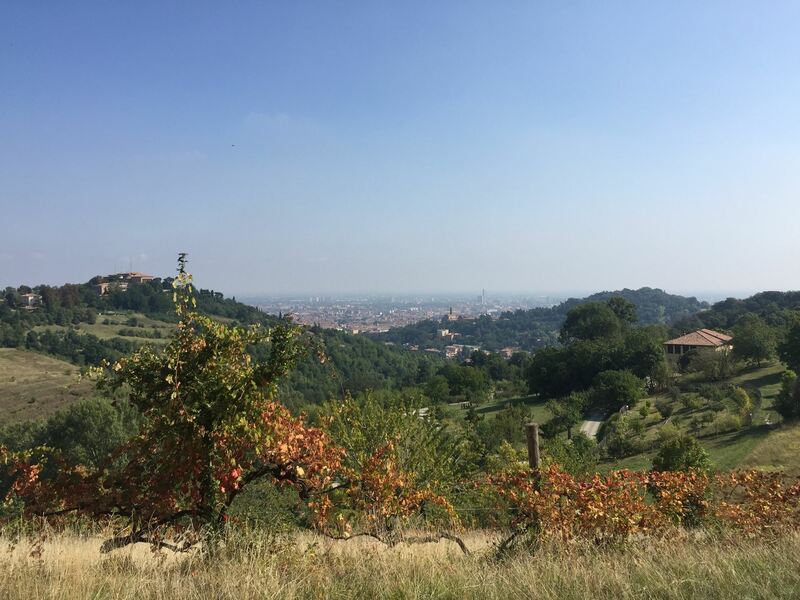 I’ll miss Bologna’s hills. 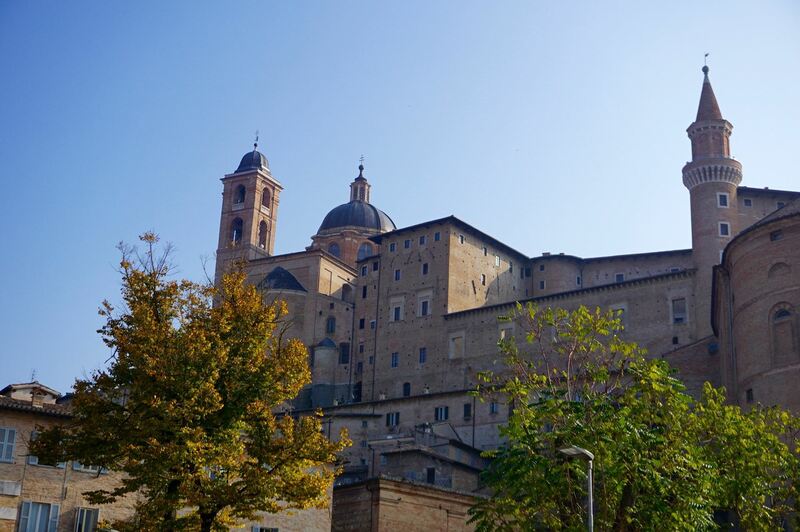 I’ll miss runs to San Luca. I’ll miss spending only 2 euro for a coffee and delicious croissant. I’ll miss the short train rides that lead to a different city with a completely different history, culture, dialect, food selection and the possibility of a whole new adventure. But most of all, I’ll miss my friends, who I have gotten used to seeing every day but now we don’t know when we’ll see each other next. I will forever be grateful for my time here in Italy where I encountered so many challenges, navigated a different culture and a different university system, and made unforgettable memories. 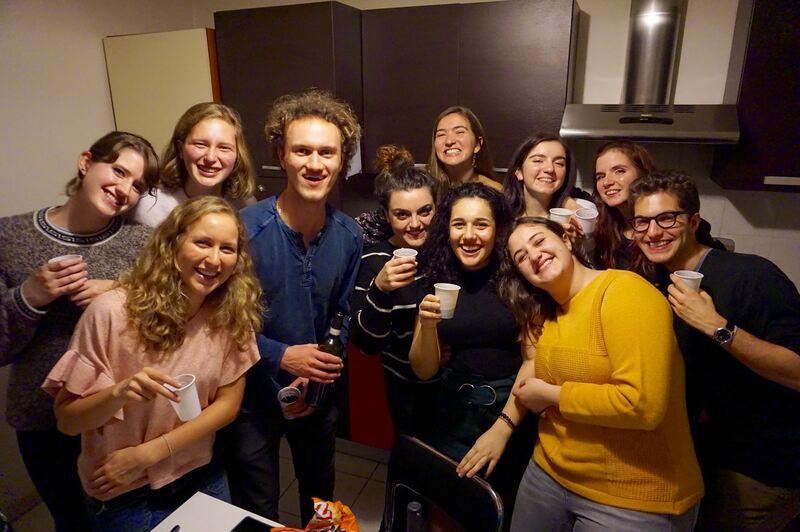 I met the most wonderful people and I learned something new about myself and about Italy every day, up to the very last minute. 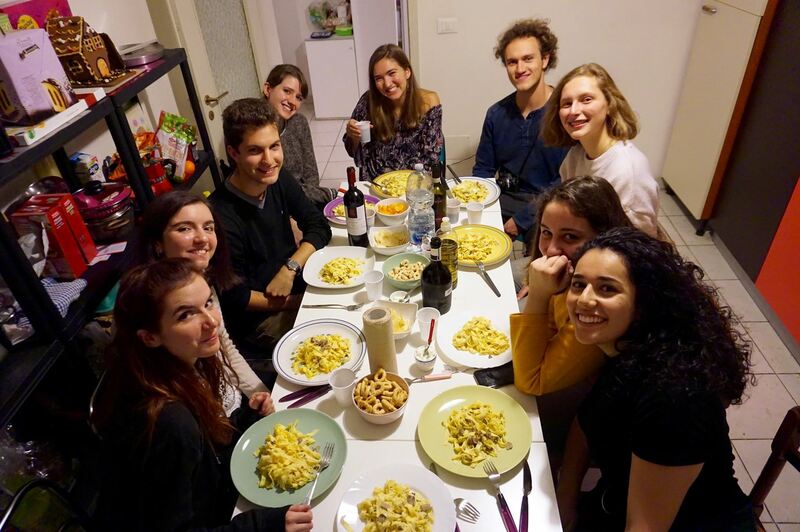 My sweet roommates hosted an Italian dinner for some of my American friends and me. 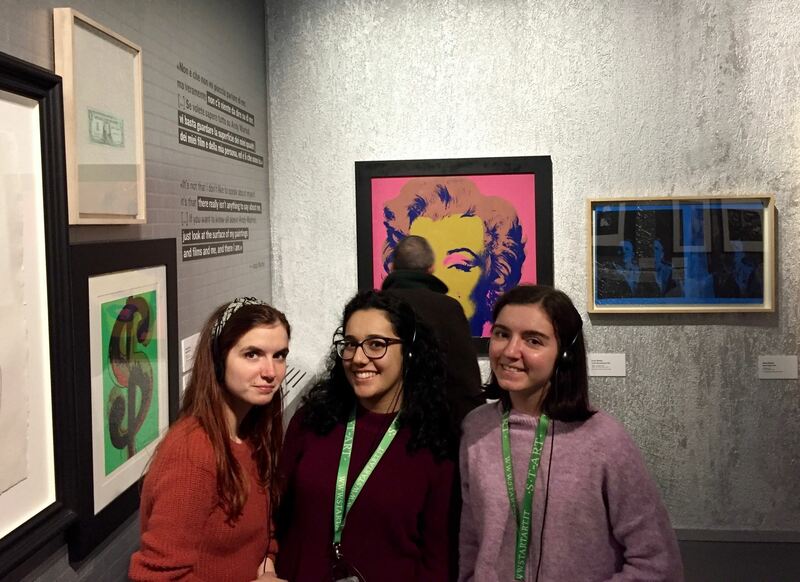 At the Andy Warhol art show with my roommates in Bologna. 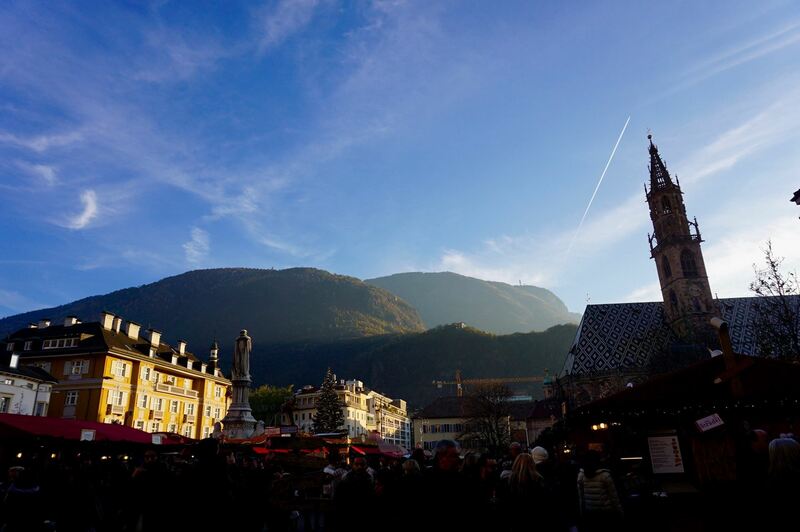 Beautiful Bolzano in the Trentino-Alto Adige region. 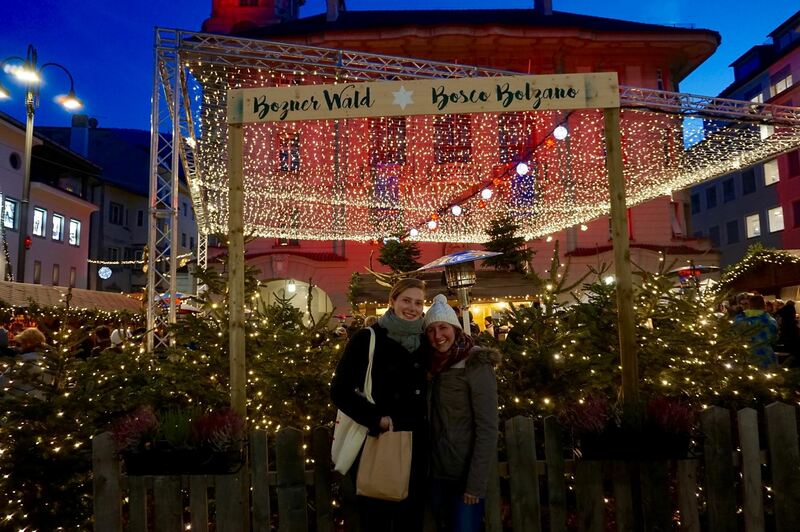 My friend Emma and me at the Christmas market in Bolzano. 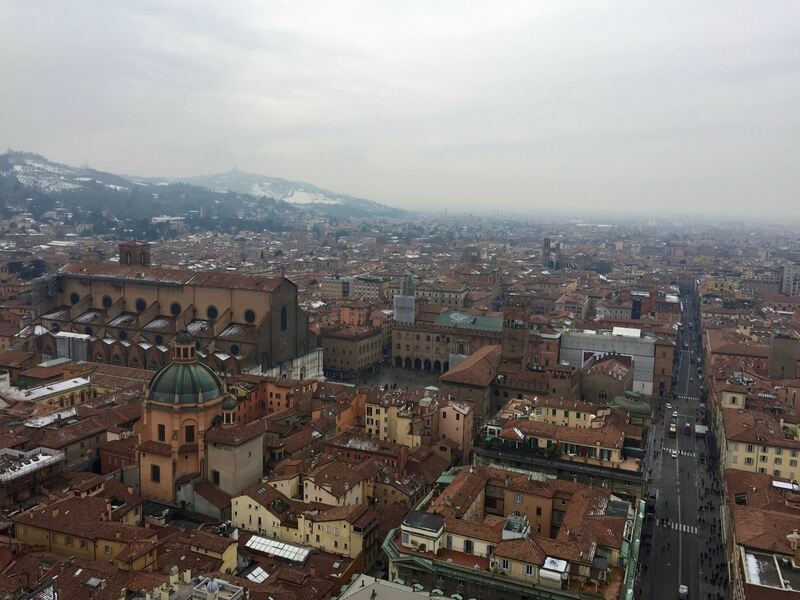 The view from the top of the Torre degli Asinelli in Bologna. Some of the people that will make leaving this city so hard.